From natural beauty to man-made wonders and glorious history to magnificent today, Chennai has everything around it, and Pulicat is one amongst the best weekend getaways from Chennai. The serene atmosphere surrounding the lake of Pulicat and age-old echoes emerging from the ancient monuments signify the authenticity of this little town. Situated on the Coromandel Coast of South India, Pulicat has been a significant trade centre and the Portuguese and Dutch headquarter in the past. However, today this seashore town is popular amongst travellers as the town of Pulicat Lake and Pulicat Bird Sanctuary. Every year millions of tourists are seen savouring the spectacular views of the dazzling lake and migratory birds chirping all around the sanctuary. Ancient temples and historical monuments are also seen scrutinised by innumerable tourists every year. This seashore town should be on your list if you are planning to get lost in the commendable beauty of history and nature. November to March is the best time to visit Pulicat as the temperature and climatic conditions are favourable and optimum on account of which numerous species of birds can be seen in and around the sanctuary. Avoid visiting in the summer season as the temperature and humidity conditions are not suitable to roam around the town. Situated at an approximate distance of 56 km from Chennai, Pulicat is easily accessible by road. However, one can also take local trains from Chennai to Ponneri and then to Pulicat by bus. The road journey to Pulicat is preferable as it takes less time in comparison to train journey and is more comfortable. For road journey, you can board government or private buses or hire a taxi from Chennai to Pulicat. It will take an approximate time of 2 hr to reach your destination. Periamet, Everest and Vepery are few bus stops from where you can easily board the buses. Route 1 is preferable as it takes less time in comparison to Route 2. If you're planning a day out in Pulicat, then it is advisable to start early in the morning to enjoy the cool weather on the trip and reach Pulicat at an appropriate time. Do not miss the chance of savouring morning sunrays amid cool breeze. On your way to Pulicat, you can enjoy certain scenic landscapes and lush greenery around the small hills. If your plan is to stay overnight and visit all other alluring places apart from the lake and the sanctuary, then it is judicious to visit ancient temples and monuments too, which definitely will give you a broad picture of this seashore town and its history. On your way to Pulicat, you can also stop for a break at Vallur and Kattur and enjoy the lip-smacking local cuisine. There are numerous places to visit and enjoy in this small historical town. The major tourist attractions include Pulicat Lake, Pulicat Sanctuary, Dutch Cemetery, Aadhi Narayana Perumal Temple, etc. Being the second largest brackish water lake, it is the centre of attraction for all the travellers and tourists who visit this place to feel the serenity and tranquillity in the hush and noise of flowing water. 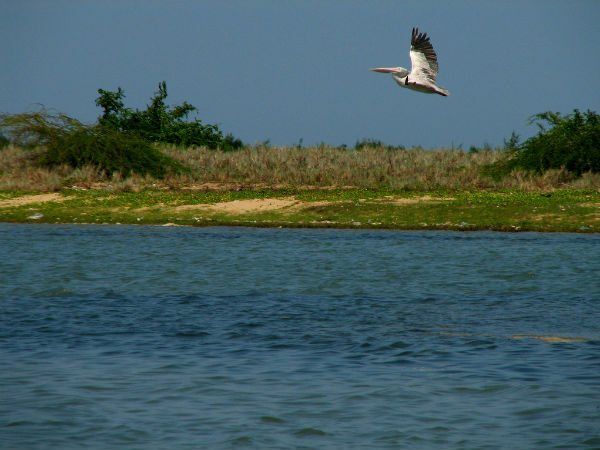 Pulicat Lake, rich in biodiversity, supports large varieties of flora and fauna and has also been a significant source of income for many fishermen. Separated by Sriharikota from the Bay Of Bengal, this lake is a must-visit destination for its natural beauty spreading over acres of space and bringing in happiness to the migratory birds. Also read: Why is Pulicat Lake India's Second Largest Lagoon? It is another must-visit destination of Pulicat and certainly one cannot be reluctant to enjoy the beauty of this sanctuary getting enhanced every bit of time by its wide variety of charming birds. The major species which are the centre of attraction include flamingos, pelicans, painted stork, etc. If you are bird lover and get fascinated by its species, then it is assuredly your spot. If you are also looking forward to getting in touch with the history of the town, then Dutch Cemetery should be on your list. Dating to 1622, it is an important archaeological site now and has been maintained under the Archaeological Survey of India. Get yourself amid the graves of this cemetery lying behind the Pulicat market and explore the glorious history of this town buried under the ruins. Several other historical monuments including centuries-old ruined temples and Dutch buildings, such as Lighthouse, can also be seen in Pulicat.